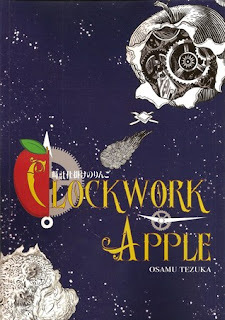 No one represents the beginnings of the manga art form quite the way Osamu Tezuka does, and his anthology Clockwork Apple gives the reader a taste of the suspenseful. In 'Miraculous Conception' a scientist and his domestic android are working on Saturn's moon Titan. They've lived alone together for seven years, and slowly they've fallen in love. After holding a wedding ceremony for themselves, the scientist Hiroshi is killed by escaped convicts who have decided to use his science station as a hideout. A tragedy, to be sure, but what explains the increasing waistline of the android? The titular story 'A Clockwork Apple' shows the reader a town under siege. The roads in and out of town have been closed indefinitely for repairs, and cars are turned back by force if they try to get out. Food could be an issue, but the main employer in the area has plenty of supplies for its cafeteria, and the stores have a large stockpile of rice. Everyone seems okay with the situation and doesn't question it, except for Shirakawa, whose wife serves bread instead of rice. Even the pharmacist, who took a sample of the rice to the next town over to run a few tests, hasn't been seen in days. Is Shirakawa descending into madness, or is there a conspiracy at work? Readers of Tezuka's Black Jack will find 'Sack' eerily familiar. The narrator meets a wonderful woman named Rika. After a whirlwind romance, he travels to her home to ask her mother for Rika's hand in marriage. Strangely, her mother doesn't have a daughter named Rika. Her only daugher, Mari, is a perfect copy of Rika, though, even though she professes to have never met him before. At a later meeting, Rika begs him to prevent Mari's surgery on the 20th, but can't explain why. Is there something sinister going on? 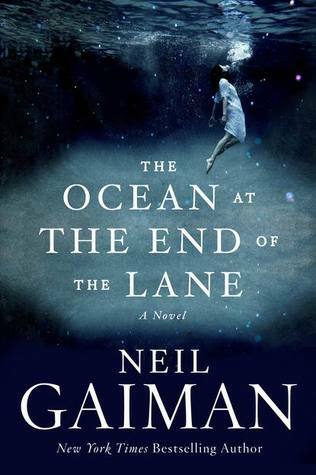 These stories of the late 1960s and early 1970s give the reader a snapshot into the thoughts and fears of postwar Japan. Throughout the collection weaves a distrust of the government and authority, as well as an undying optimism for the future, even if there are many ways for it to be derailed. Once again, Tezuka is able to mine the depths of the human psyche, and reveal more than a traditional author ever could. Highs: Whether a statement about the follies of war or a creepy suspense story, all of Tezuka's works leave an indelible mark on the reader. Lows: Even with the footnotes, it's hard to be familiar enough with the era in Japan to fully follow a few of the narratives. Verdict: Best suited for a reader very familiar with manga in general, Clockwork Orange is a masterpiece.